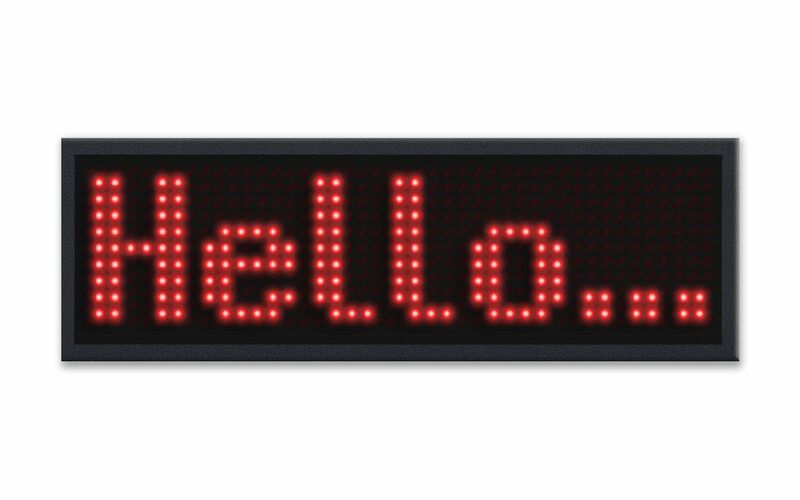 Display a scrolling message that people will see across the room! When you need to convey a message with clarity and impact, Smart Badge™ is the perfect solution. Now you can display “TOUR GUIDE,” “INFORMATION,” “CAN I HELP” or even your name in bright red LEDs on a neat, compact badge that attaches easily to your shirt.Forget messy markers and paper that bleeds through onto your clothes. Smart Badge programs wirelessly directly from any smartphone and shows off a bright display that’s clearly legible from across the room—without having to connect to a computer! People will notice you for the right reason, and you can say goodbye to the days of messy markers and paper waste. The no-slip clip attachment is far more secure than stick-on paper, but it won’t poke holes in your good clothes. This is the way to do it. Download the free Smart Badge App from the App Store or the Play Store!